High-quality fashion footwear and accessories brand ALDO is renowned for its concept-led styles and bright colours. 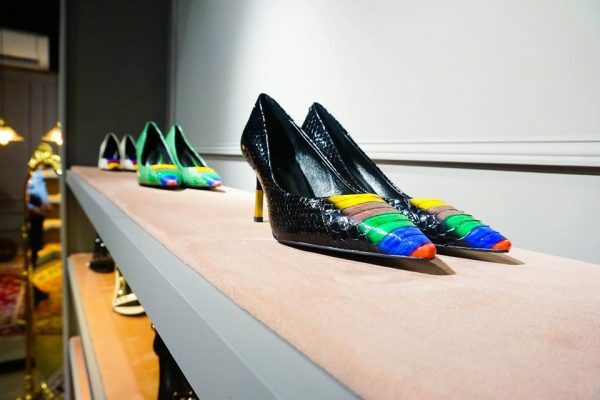 Founded in 1972, Albert ‘Aldo’ Bensadoun established the company after following the footsteps of his father and grandfather into the shoe business. Nearly 50 years later, the brand places a premium on working to enrich the communities in which its employees live and work. Its core values of Love, Integrity and Respect have established the company as a leading retailer, with over 1,700 stores in 80 countries. The store at St Christopher’s Place offers ALDO’s very latest range of UK footwear and accessories.